The YMCA of Metropolitan Milwaukee. Our annual campaign raises charitable funds needed to support kids, adults, seniors and families with programs that protect, teach, encourage, connect, heal and nourish. Everything we do helps empower our community and the people who live here. Your generosity strengthens the foundations of our community and makes an enduring impact in the areas of youth development, healthy living, and social responsibility. 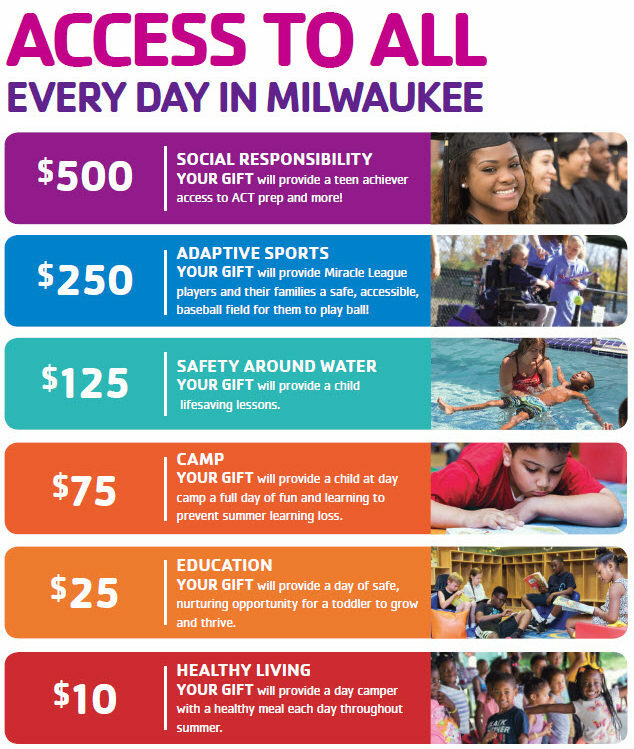 Your gift will build a better us by ensuring that the doors of the YMCA of Metropolitan Milwaukee are open to all, seven days a week. Fill out the pledge form below to make a gift online or download a donation form and mail it in or drop it off at your local Y.